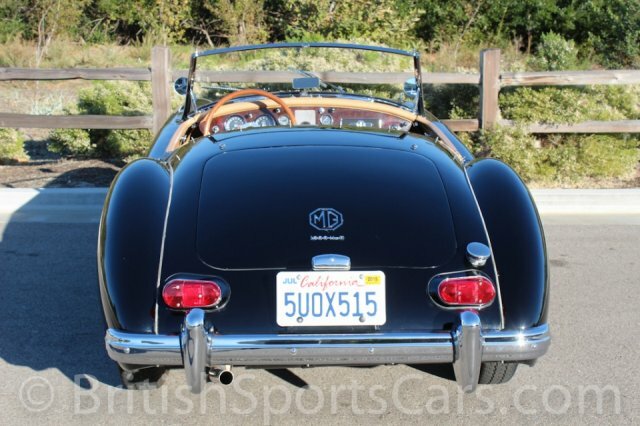 This MGA is a late model version known as a MKII and is very rare and desirable in the MGA world. It comes with a larger displacement 1622cc engine compared to earlier models. This particular car was fully restored from the ground up in 2006 by Auto Vintagery, MGA specialists. It has been driven only 1,906 miles since the restoration was completed and drives fantastic. The car does show some wear to the upholstery and a few small marks in the paint since restoration was completed. Overall, this is a fantastic car to drive, enjoy and take to car shows. The car does come with a new convertible top and side curtains.It is also fitted with the rare and very desirable Competition Deluxe seats that are covered in leather. The body shows no signs of ever having rust or body damage and is a really great car. Please feel free to ask any questions you may have.